Carol Berkin received her A.B. from Barnard College and her M.A. and Ph.D. from Columbia University. She taught at Baruch College from 1972 to 2008 and has taught at the Graduate Center of the City University of New York since 1983. She is currently Baruch Presidential Professor of History. 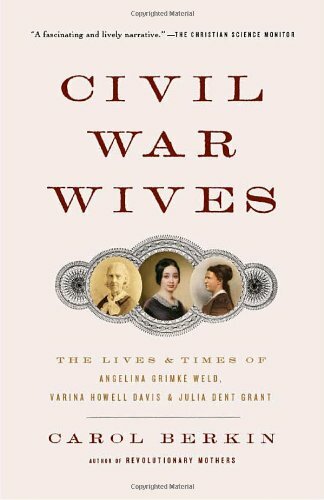 Berkin is the author of Civil War Wives, Revolutionary Mothers: Women in the Struggle for America's Independence, A Brilliant Solution: Inventing the American Constitution, Jonathan Sewall: Odyssey of an American Loyalist, and First Generations: Women in Colonial America, and numerous articles and reviews. She lives in New York City and Guilford, Connecticut.From the Hardcover edition.